The shadow qualities for this chakra are the ones that are related to these areas and are usually considered “negative.” Typically, we are conditioned to reject these parts of ourselves at a very young age, so we literally hide these parts of ourselves in order to be accepted and loved and to get our basic needs met. Because we are all slices of the Divine (and are nothing but energy under these skin suits) we have within us ALL potentialities (traits). 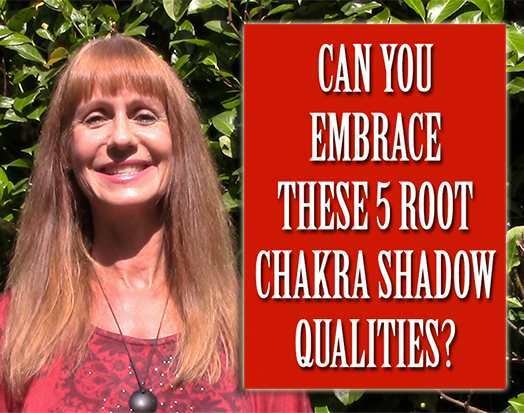 If you want to be fully-embodied, strong and have money and the material things you desire, then it’s a good idea to embrace these shadow qualities.